As estate planners, we help our clients understand the need to have thoughtful and ongoing discussions about estate planning, the orderly transfer of wealth, and decision making authority during one’s life and at death. A basic estate plan includes a will, a durable general power of attorney form, and a healthcare power of attorney document. But most Americans don’t even have a will. Let’s look at three popular myths that prevent people from adopting estate plans: cost, control, and complexity. When perceived cost is the major concern, people often turn to do-it-yourself online legal forms, which are often problematic. We have seen many examples of estate planning documents completed online—even ones that are supposed to be Washington-state specific—with serious errors or missed planning opportunities. For example, you may want to leave special gifts to individuals or make charitable gifts that are not covered by online forms. Effective planning usually requires customization. 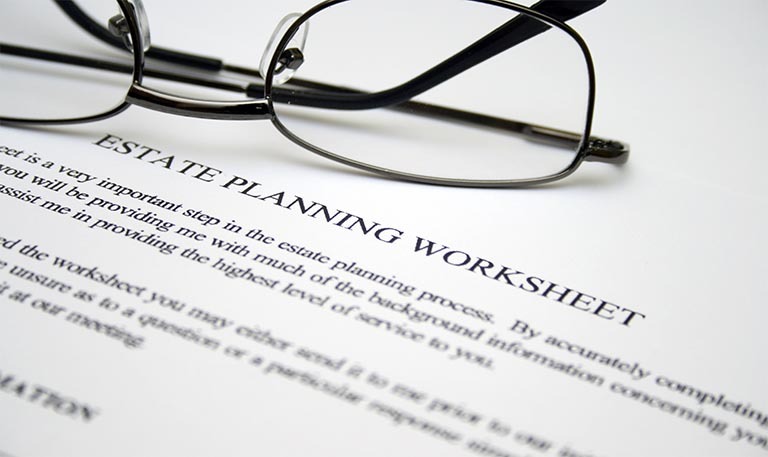 To prevent errors and costly omissions, it’s best to hire a reputable estate planning lawyer. You can find qualified attorneys online or through referrals from CPAs, investment advisers, family, or friends. Many lawyers will waive their fee for the initial meeting, since that meeting is an opportunity for you and the lawyer to vet each other. To establish expectations, request a fee estimate. Many lawyers will prepare estate planning documents for a reasonable flat fee. The cost of not having an estate plan is usually much higher than the legal fees spent to create a plan. Those costs can include guardianship proceedings, fights among children over control or division of assets, and taxes that might have otherwise been avoided. People often imagine that estate planning is so time consuming and complex that they need a law degree to understand the process. But a reputable estate planner will explain each aspect of estate planning up front; provide readable estate planning documents; and even send an explanatory letter, outline, or flowchart for your easy reference. Some people believe that signing basic estate planning documents amounts to handing control of your assets over to someone else. However, adopting a basic estate plan doesn’t mean losing control. In fact, you’re more likely to lose autonomy from a lack of estate planning, such as when a court appoints someone you have not personally selected to control your wealth. A reputable estate planner will dispel these myths and put you at ease by drafting understandable documents and explaining how they help preserve your autonomy. The many benefits include peace of mind, protection during incapacity, and an orderly transition of wealth. It’s time to move past the myths and understand what estate planning can do for you and your family. Myth: Estate planning is only for the very wealthy. Reality: Everyone should have at least a basic estate plan to protect family and minimize expense and taxes. Myth: It will take too much time. Reality: With good legal counsel, it doesn’t take much time to put together a basic estate plan to accomplish your primary aims. Myth: I will lose flexibility to make changes later on. Reality: Basic estate planning documents can be changed any time before death, as long as you are competent to make changes. Myth: I will have to make difficult decisions. Reality: Estate planning does call for decisions, but it is far easier to make tough decisions in advance, rather than in a crisis. If you do not make the decisions, the court will do it for you. Myth: I shouldn’t start until I know what I want to do. Reality: Good legal counsel will focus you on the right questions and help you decide what makes sense for you. Jay Riffkin (top) is an associate in Dorsey & Whitney’s Tax, Trusts, and Estates practice group. He helps clients through all stages of estate planning. Walter Impert is a partner in Dorsey & Whitney’s Tax, Trusts, and Estates practice group, and he focuses on all aspects of wealth management, including estate planning. Thanks for sharing this article. It is important to have clear view about real estate career. Any real estate firm will have several brokers handling different openings. A real estate broker is someone different from the salesperson. In order to plan the right real estate career, one has to map out properly. Right from the educational qualifications to the experience, everything matters to become a good commercial real estate broker. You can also visit http://century21cedarcrest.com/careers for more details.